Uplifting comeback let down by stifling slickness. The TV comedians Armstrong and Miller used to perform as Scandinavian soft-rockers Strijka, a note-perfect parody right down to their wonky use of second-language English. Always a guilty pleasure, Roxette’s blustering attempt at widescreen jukebox Americana has some of the same appealing gaucheness. Who could fail warm to a band whose hits collection was titled Don’t Bore Us, Get To The Chorus!? 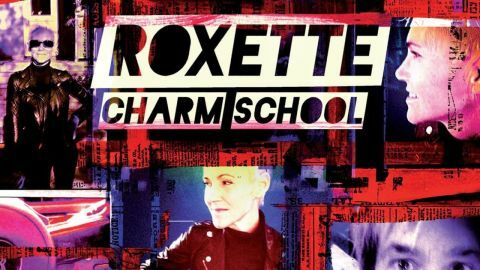 One one level, at least, Roxette’s first new release in a decade comes as a very pleasant surprise. After selling more than 60 million albums in the 1980s and 1990s, Fredriksson was diagnosed with a brain tumour in 2002, forcing her into semi-retirement. Happily, Charm School finds her duetting with guitarist Per Gessle with as much polished punch as ever. Less impressively, these mid-Atlantic pop-rock anthems are resoundingly generic and impersonal, wavering between Bon Jovi-sized stadium-stompers like Way Out and cloying Scorpions-style power ballads like No One Makes It On Her Own. It is heartening that these veteran Swedes appear healthy, but Charm School is simply too frictionless and focus-grouped, leaving scant room for the comically endearing Euro-clumsiness of yesteryear. Slick, but charmless.